Saeed is one of Britain’s leading trainers, collecting the first of his four British trainers’ Championships in only his second year in charge, before following up in 1998, 1999 and 2004. He has sent out 12 British Classic winners since 1995, headed by Lammtarra, and has saddled no fewer than eight Dubai World Cup winners including the brilliant Dubai Millennium in 2000 and most recently, Thunder Snow, victorious in March 2018. His other notable international wins include Sulamani in the G1 Arlington Million in 2003, Daylami (1999) and Fantastic Light (2001) in the G1 Breeders’ Cup Turf, while France’s top race, the G1 Prix de l’Arc de Triomphe, was won by Sakhee (2001), Marienbard (2002), as well as the aforementioned Lammtarra (1995). Farhh, equally brilliant over a mile and 10 furlongs, captured the G1 Lockinge Stakes and the G1 Champions Stakes in the UK in 2013. In October 2008, Saeed broke new ground, saddling Godolphin’s first G1 winner in Australia when All The Good won the Caulfield Cup. 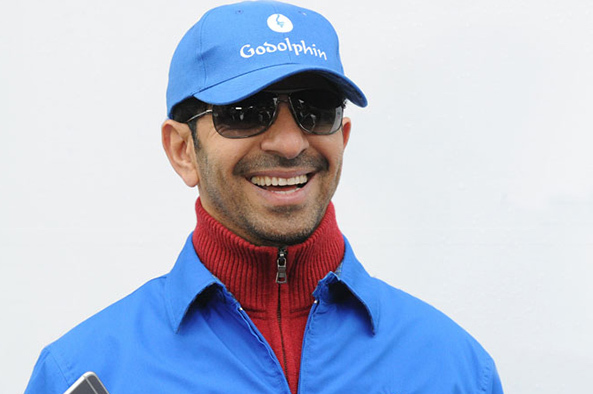 Ten years later, in October 2018, he trained Godolphin's second winner of the race, Best Solution. He has collected the Leading Trainers' title at the Dubai World Cup Carnival on eight occasions (2008, 2009, 2010, 2011, 2012, 2013, 2014 and 2017). In addition to his many horseracing awards, His Highness Sheikh Mohammed honoured Saeed for his services to horseracing at the 2015 UAE Pioneer Awards ceremony. Saeed also received the Local Trainer Award at the Mohammed bin Rashid Al Maktoum Creative Sports Awards in January 2018. He has recorded over 2,000 race wins around the world, with almost 200 of these at G1 level. His Highness Sheikh Mohammed honoured Saeed for his services to horseracing at the 2015 UAE Pioneer Awards ceremony.